October, 2017 | Paciorek's Principle of Perfect Practice - Simplicity! From what I’ve observed in watching Baseball Games, I’m amazed at how well the persons umpiring games do observe and make the “calls” with a high degree of accuracy. Recently MLB has taken the “good-initiative” in installing the “instant-replay” video cameras that in most/all cases clarify a questionable circumstance and the umpire’s call regarding the incident. What a positive enhancement to the betterment of the Game! It surely beats the “human-factor” for “getting it right”! Every single game I’ve watched during this recent Playoff-competition has had situations where the umpire’s judgment behind home-plate was a definite detriment to either the batter or the pitcher. Since players are being “extra patient and tolerant” to an umpire’s missed-call (for fear of possible ejection from the game), they seem to be expected (unfairly) to make up for “his human-error”(somehow). If it’s a called “third-strike” to a precisely attuned batter with a runner in scoring position, or a “ball-four” on a 3-2 count for the pitcher who can commonly “thread-a-needle,” the players’ credibility as well the team’s win or loss is at the discretion of human disparity. It appears that most commentators have been advised by administrative authority not to point out any umpire error. But, some can’t help but comment when the umpire’s decision is so blatantly incorrect. And it is also obvious to the casual spectator (not always). It is difficult for the avid sports fan to tolerate any incompetency occurring on the Baseball field, especially from “non-players” whose decisions can have a direct effect on the outcome of the game in which “they” vicariously want their home-team to win (by any and all fair-means). Even the most ardent fan will be at least appeased by a video-replay that validated an unfavorable outcome for his team. Nothing is more egregious to a fan than to detect that the umpire seems to be “guessing” on some of his calls, or a bit inconsistent in his perception. You hear some commentators mention that even though “the pitch” was obviously “outside/inside” the strike-zone, at least the umpire has been consistent in calling that pitch. What consolation is that to a batter who has “fine-tuned” his visual-mechanics to respond consistently to the height, width, and depth of the pitched ball, or to a pitcher whose fingers, arm, shoulder, and body sensitivity to the precise fluidity of movement that would place the pitched ball where he intended? Should either of them be expected to change his own “model of excellence” to accommodate the mortal incompetency of flawed human frailty? NOOOOOOOOOOOOOOO!!!! No human-being (not even Ted Williams, with his incredible eyesight during his playing days, up to slightly beyond 40 years of age) would be able to be 100% accurate with calls behind the plate. Can you image the difficulty of persons over the ages of 50/60 in making accurate calls on 100 MPH fastballs, hard-sinking “splitters,” abruptly changing directions of curve and sliders? And in this modern era of catchers deliberately “framing” pitches with uncanny speed and deception, what human is capable of deducing the accuracy of the pitched ball with even approximate credibility? Therefore, the only intelligent solution to this obvious conundrum is to install an “electronic ball and strike indicator,” and relieve the home-plate umpire of the “un-doable” task of accurately calling Balls and Strikes in a professional Baseball Game – especially during the most highly competitive venues of Playoff and World Series competition. Just imagine how much less time would be wasted during any game when a batter or pitcher doesn’t have to suffer the “indignity” of justifiably getting upset with a “bad-call,” then subsequently be ejected from a game (then fined) because a “conscientious” human being had inadvertently made an incorrect decision based simply on “mortal-frailty.” The “solution” is readily at hand! MLB… – DO IT! I want the skill of the players, teams, and managers to determine the outcome of the game I’m watching, not the haphazard “brilliance” or “guess-work” of a sporadically competent official. Until this is accomplished, Major-League Baseball will be elevated no higher than the plateau of merely the “Penultimate” level of entertainment excellence! I have other suggestions that could be considered for other less important matters, but the above should be immediately endorsed and acted upon. Thank you. J.F. P.
P. S. Let’s see how much the World Series will be affected by “Human Error!” I can just imagine what kind of Strategy the “Vegas-Bookies” are mounting for this upcoming fiasco – Could be a new but subtle twist on events of 1919!? 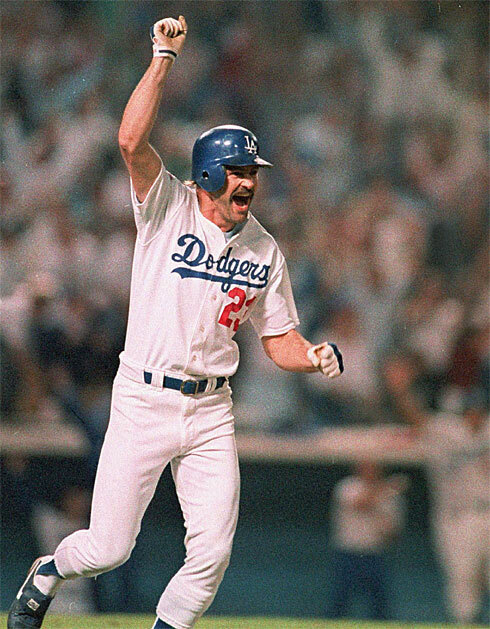 In honor of Kirk Gibson’s Immortal “stroke of genius,” I wish to applaud once again a feat in Sports History that I don’t think will ever be duplicated, although some renowned sports writers would evaluate it as merely second or third on the list of memorable home runs ever hit. As Kirk is currently experiencing some physical difficulties in 2017, I would hope the man who performed the miracle at the 1988 World Series could somehow disentangle himself from the “interlaced ambiguities of his being” and realize that it is natural for him only to feel good, to be well, and to experience perfect bodily conditions. I am again re-posting (from October 15, 2014) my account of Kirk’s Historic, monumental achievement for your reading pleasure. ENJOY! When classifying the “Greatest Home-Runs” in Baseball history, the closest that Kirk Gibson’s 1988 World Series “Bomb” ranks to the top of the analysts’ charts, even by MLB Productions, is 2nd or 3rd, behind Bill Mazeroski’s 1960 “Walk-off,” and/or Bobby Thompson’s 1951 “Shot Heard Round the World,” that gave the Giants the pennant. Of course the main criteria for evaluating these enduring historical footnotes are still the reminiscence of “that” notorious City-Team rivalry and a purely “Under-Dog” sentimentality (Giants’ 15 games deficit before tying the Dodgers, then winning the pennant; and Pirates’ monstrous negative run-differential with the overwhelmingly favorite Yankees). 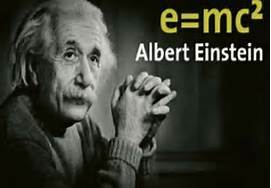 In an essay I wrote entitled, “Einstein and the Home-Run Principle,” Einstein supersedes the Williams’ statement when he parenthetically observes, “Hitting a Home-run is the most difficult thing to do in all of Sports.” To hit a home run, a batter has to be almost perfect in his application of the “the laws of physics” with regard to the mechanics of swinging a baseball bat with precision and power. To be a consistent home-run hitter the batter must also have an understanding of all the elements that are included in the dynamics of hitting a baseball effectively. Theoretically, it is possible to hit a home run every time a batter swings at a baseball. However, Einstein and others have found through Quantum Mechanics, when trying to establish the essence of matter, that “at the fundamental levels, causation is a matter of statistical probabilities, not certainties.” Therefore, with all the elements and combinations of variables with which a batter has to deal, from within and from without himself, the “uncertainty principle” gives compelling testimony that mastering the “rubik’s cube” of hitting a home-run every time is highly improbable. However, the knowledge itself, of such feasibility, enhances the statistical probability of success. 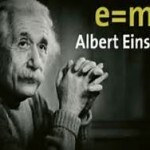 Not even Albert Einstein and all the renowned physicists of his time, and “saber-metricians” of this modern-era, could have approximated the statistical improbability of what Gibson did on October 15, 1988. The resounding joy that New Yorkers experienced in 1951 and preserved for decades was not altogether incalculable, since Bobby Thompson had not more than 3 days earlier lit up Ralph Branca with a Home Run that presented as an ominous note a precursor of what was to come. And Bill Mazeroski’s feat that ended the 1960 World Series, although dramatic, cannot have been totally unexpected. Pinch hitter, Hal Smith, had earlier hit a 3-run homer to stake the Pirates to a 2-run lead until the Yankees tied the game in the top of the ninth, thus extending the heart-pounding “see-saw” battle. “Maz” was 1 for 3 as he led off the bottom of the ninth. Yankee pitcher, Ralph Terry, made the huge mistake of getting the pitch up to the short but powerfully built Pirate second base-man, who took advantage and slugged the ball over the brick wall 408 feet from Home Plate. It was truly a magnificent and endearing moment for the Pittsburgh community and all Baseball fans outside of the Bronx – worthy indeed of memorial status. All that being said, encomiums to those two distinct episodes in Baseball lore should pale in comparison to the near “mythical” grandeur that highlighted the glorified instant of Gibson’s exalted “blast,” as well as propagated the ecstatic drama that preceded his culminating heroics. Kirk’s advent into professional baseball is as mysterious as that of the legendary “Roy Hobbs,” without the tragic prelude. Upon completing a successful College football career, it was suggested that he not waste his athletic talent in the “off-season,” and play “a little” baseball for his Spartan baseball team at Michigan State University. In that first and only year of College baseball, he played so well (.390 B.A., 16 HRs. 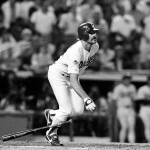 and 52 RBI in 48 games) as to warrant being picked in the first round of the 1978 MLB Draft by the Detroit Tigers. 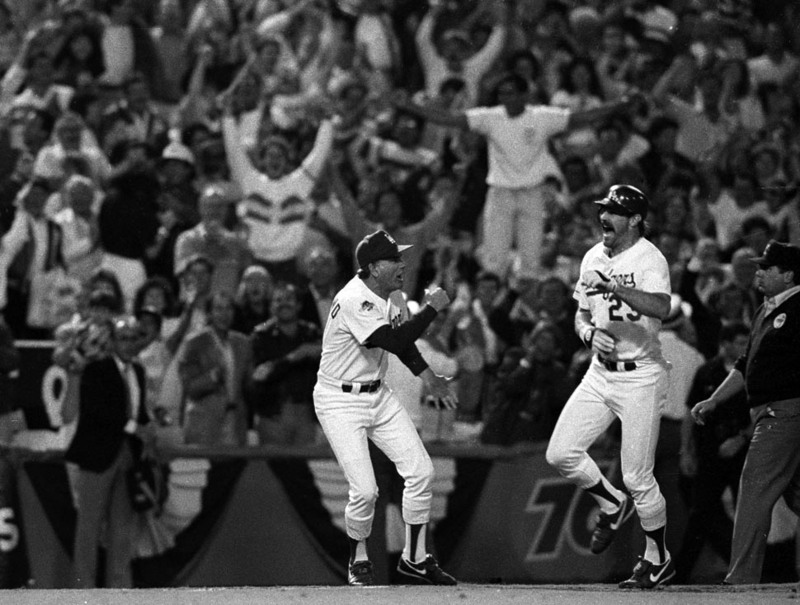 He was with the Tigers for 9 years, and was a key figure in attaining a World Series title in 1984. After being determined as one of the ballplayers being “black-balled” by MLB Franchises in the notorious “Collusion Scandal” of 1987, he left the A.L. Tigers and in January joined the Hapless Dodgers of the National League, whose dismal ‘87 season needed something of a “Hobbsian” spark to generate new life into a ball-club in disarray. At Spring Training a few opportunities presented themselves early in Camp to set the stage for an immediate change of direction in Team attitude and focus. This would eventually lead the march to a much improved status and uncontested standing in the National League West to win the Division by 7 games. Frivolity and practical jokes took a back seat to Kirk’s ultra-professional and business-like mentality, and the team flourished from beginning ‘till the season ended. His season ending stats earned him National League MVP honors while helping the Dodgers win 21 more games than the season before. But it was his uncommon “personal-leadership” and otherwise intangible, undaunted presence that invoked the “mythical hero” image his teammates and adversaries had learned to admire and would attempt to emulate. In the NLCS, although injured, Kirk still performed heroically in clutch situations, and his timely home runs in the 4th and 5th games clinched the National League Pennant, and advanced the Dodgers into an improbable World Series entitlement. Throughout the game, there were brief TV glimpses of Kirk Gibson hobbling around in the dug-out as he was traversing the distance from the training room and back, trying to massage and loosen his painful joints and hamstrings. Ever-optimistic, Tommy Lasorda seemed to be coaxing his beleaguered star, to see if any type of “miracle” was in the offing. 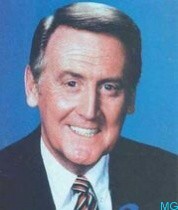 Vince Scully repeatedly commented that there was “absolutely” no chance of Gibson making an official appearance. With T.V. 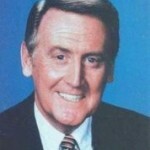 and radio broadcasts coming into the locker room, Gibson heard one of Scully’s commentaries as if providence were beckoning for him to consider an alternative thought. In sudden contemplation of all that was transpiring before him, Kirk realized an inexplicable surge of unwarranted confidence streaming through his consciousness. As in a biblical reference to Jacob wrestling with the “man” inside, Kirk’s vision of Princely accommodation could not be suppressed. The decision was made; his mind was determined; “the die was cast”; but only the portentous action itself was forestalled. “Will I look like and be a fool? What in hell could I possibly do? I can’t even walk! What or Who do I think I am?” would have been the common queries instigated by mortal fear that must be wrested away from that mind intent on fulfilling a noble purpose. 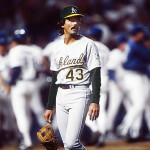 After Dodger pitching blanked the Athletics in the top of the ninth, the otherwise stalwart performance of Oakland Pitcher, Dave Steward, ended when statistically prudent “As” manager, Tony LaRussa replaced his Starter with the League’s Premier “closer,” Dennis Eckersley. 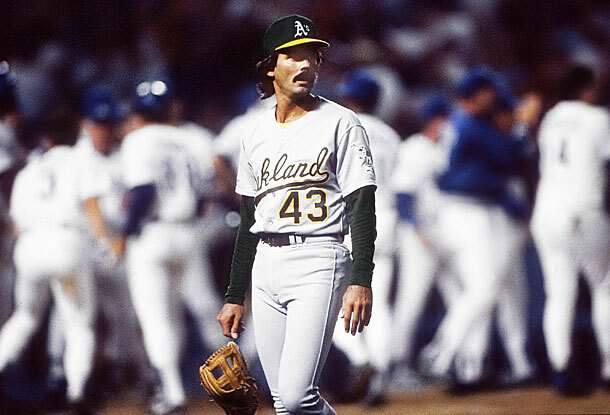 It looked like a sure win for Oakland, since “Eck” was destined to face the bottom of the Dodger line-up (though somewhat of an ominous sign, in hind-sight). Eckersley got the first two outs in rapid succession, and was about to face a formidable, former teammate who was set to pinch-hit for the 8th batter in the line-up. 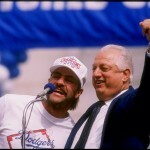 All potentially constructive Dodger strategy lay in the proposition that Gibson regain a semblance of his former self. Yet, even if he could overcome the acute pain and obvious debility, what could he hope to achieve in this debilitative condition? Bob Costas would later remark that while he was in the stairwell of the Dodger dug-out, he could hear the groaning, anguishing strokes of a batter desperately trying to ready himself for one last at-bat, even “one last-swing,” while teammate Orel Hershiser was feeding baseballs onto the tee for Gibson’s convenience. Although most of his teammates must have sensed the futility of Kirk’s somewhat contrived heroism, they probably also could not have expected anything less from “the man” who had proven himself so many times before. They all must have thought the “good-prospect” all but possible. However, their past experience would at least warrant a “statistically” derived-at chance of success. 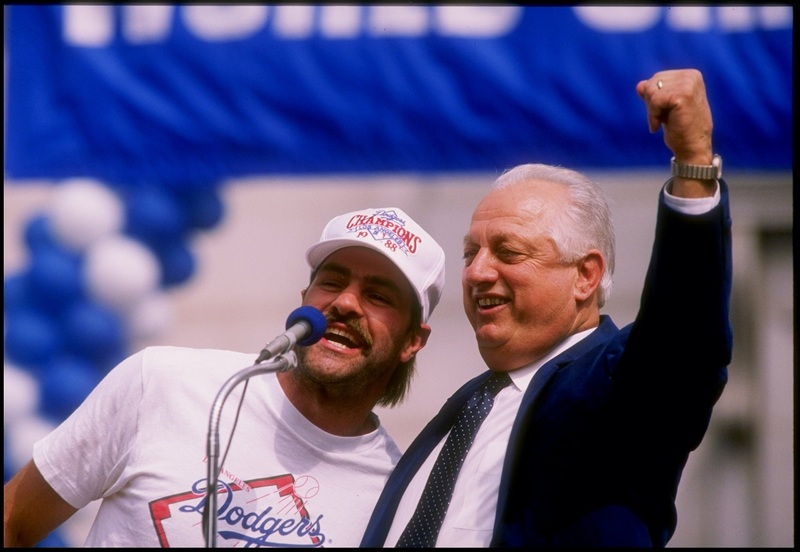 “YOU’VE GOT TO BELIEVE” would have been the genuine inspirational sentiment pouring into the ears of the players from the mouth and heart of Tommy Lasorda and the Great Dodger in the Sky. One could only speculate as to what order of thoughts must have been aligning themselves in Gibson’s mind as his footsteps proceeded into that rarefied cubicle of variable distinction. Before assuming his characteristically “Spartan” batting-stance, his back cleat scratched the hardened dirt for a foothold to secure a base from which his afflicted body might launch its purposeful attack. He was finally ready, and none too soon for the exasperated Eckersley, who let his arm commence with the business at hand, firing a blazing, side-arm, tailing fastball, for which Gibson must have felt a tad unprepared. All observers couldn’t help but notice the constrained, oblique wrenching, late response Gibson’s off-balanced body and bat conveyed as it almost completely missed the ball. 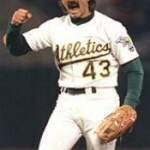 The second pitch gave the same explicit message, and the fans as well as Eckersley himself must have sensed that “the Gibber” was no match for the “Eck.” Kirk was behind 0 and 2 in what seemed like a “heart-beat,” and Dennis was determined to finish him off on the next pitch. Eckersley’s disdain for Gibson’s futile attempts was obvious as he was about to throw another fast ball, same speed, to the same spot (away). The fact that Kirk looked bad, but progressively better on each swing did not escape Eckersley discerning eye. Gibson knew that his body needed only a short quick turn, but even that was too slow to get his arms activated. After his first pitch to Gibson, it became obvious to Eckersley, as well as the “brain-trusts” in both dugouts, that Kirk was not the optimum threat for which everyone fancifully hoped or cautiously suspected. But he was quickly portending to be a formidable adversary, even in his seemingly “powerless” condition. “Eck” recognized that with all the pitches Gibson was subtly calculating, making superficial contact with every one, it might only be a matter of time before he can put one in play, perhaps to the detriment of Oakland. Therefore, he can’t let Davis steal second base. Before his second and third pitches he made 3 throws to keep Davis close. With 2 strikes on Gibson, the Dodgers might be desperate. His 4th pitch was a ball outside, going a little farther to see if Kirk would bite beyond the fringe. He didn’t. Since “Eck” didn’t throw over before the 4th pitch, Davis attempted a steal on the 5th. Gibson had his best swing yet, but fouled it back. Eckersley didn’t think Davis would steal on consecutive pitches, and he was correct, but threw “Ball 2” in the process. Before his 7th pitch, he threw to first base again. 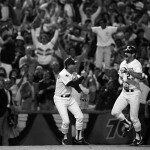 But on the pitch to Gibson, the ball was further outside, and Davis successfully stole second base, much to the consternation of LaRussa, Eckersley, and the “As” dugout as the count rose to 3 and 2. The situation had not developed the way Eckersley intended. Gibson’s impotent yet “frisky” at-bat posed a conundrum whose immediate solution never materialized. So there was only one direction in which to go! As for Gibson the batter, he had neither rhythm nor timing when he first came to the plate. But through the course of his gauntlet-like “trial-by-pitch” he had developed both to a rather insignificant level. Now, it was thought by “Eck,” to end this dilemma. He knew what he had to do. He’d done it before, with great success. And he will do it, NOW! All the “Cards” being dealt, Eckersley landed (in Poker parlance) a 4th Ace, while Kirk had a pair of Jacks and the 7, 8, 9 of Clubs. Kirk could have kept the pair and thrown the other 3 away, but instead threw the Jack of Hearts, keeping its “Brother-in-Clubs.” The statistical probability for Eckersley’s success was astronomical! 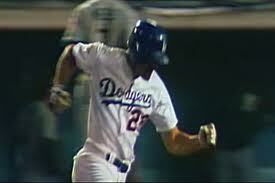 Kirk Gibson seemed to have been abandoned by the “gods” and his mythological legend was about to become irreparable. The most he could hope for was simply a mimesis of that “Luis Gonzalez” swing, and flare a base hit that might tie the game. 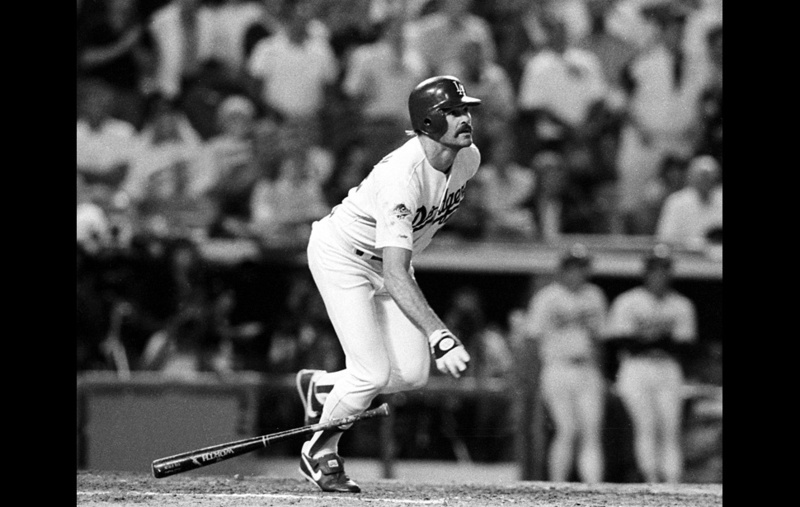 But in Eckersley’s mind, a game-ending out is all Gibson’s “gunna” get! Just before Eckersley was to deliver his “secret” pitch, Kirk abruptly stepped out of the batter’s box, as if to regain his composure under this momentous circumstance. But, in that instant, a higher source seemed to beckon him to recall an otherwise innocuous fact that Kirk had read in a report prepared by an astute and meticulous “scout” before the playoffs began. After pondering the present situation, all statistical possibilities seemed to be aligned in a favorable position. And the curtain was about to fall with a dramatic conclusion on one of these conquering heroes, each with his own weapon of invincibility in hand (Reminiscent of the final poker-hand in the movie, “The Cincinnati Kid”). But which will project the image of “The Man”? 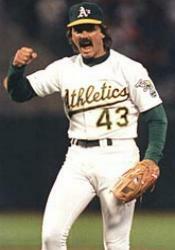 As the pitch leaves his hand, Eckersley recognizes the ball’s trajectory to be perfect, right where he wanted it. With all the pitches he had thrown, he knew Gibson would see the ball moving directly toward the outside. He also thought Gibson’s quick sense would assume that, since his side-armed fast ball “tails,” the pitch’s destination would obviously move farther outside for a ball. He was expecting Kirk to momentarily relax, and not have enough time to respond to the pitch’s abrupt deviation of speed and direction, until it was too late – The “Aces” were “face-up”! “Sure enough,” realized Kirk, upon first glance! His “absolute faith,” and patience allowed him to wait. He’d not yet lifted his front foot as he did previously while expecting Eckersley’s fast ball. An extra nanosecond of Time was in his favor. “Now, all I have to do is get my timing right, to be able to explode at the precise moment!” In his extremely “closed-stance,” as he discerned the ball’s outside trajectory, he waited until he could detect its subtle and abrupt turn toward him. Then his front foot exaggerated its deliberate stride toward third base, as his body was “gathering” its forces to uncoil as his foot would plant into the ground. Eckersley couldn’t help but notice that Gibson’s physical demeanor was uncommonly composed as he unobtrusively glided in the direction from which the ball was finally descending (as if he knew what was coming). “Eck” saw Kirk’s foot plant, his body uncoil, his arms extend, and in a final explosive lunge of shoulders, hands, and wrists, observed the bat contact the ball with an uncanny perfect synergy that launched the round projectile with improbable force in the direction from which it came. 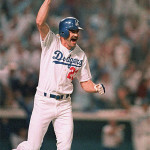 Throughout the day not a hint of joy was expressive of the face of Kirk Gibson, only a stoic facade hiding pain, disappointment, resentment, and disdain for his helpless and impotent condition. As the abrupt follow-through of his celestial swing of bat was completed, and he cautiously embarked on an unrehearsed, and as yet undefined, trek, an observer could detect a gradual change in facial disposition. The remorseful look of indifference was suddenly transformed into a heavily distinguishable canvas of ecstatic jubilation. And in a moment of triumphant glory he pumped his bent right arm in successive punches along the side of his beleaguered body after the subjugated leather-bound projectile did indeed traverse the height of the outfield fence for an uncontested, historic “masterstroke” (Tour De Force) of amazing ramifications, the conclusion of which would be directly revealed.